I love engagement sessions. Not only is it a good opportunity for your clients to meet you but I get to really see my clients personalities and let them have fun. A lot of times this is the first time I am meeting clients so it's a great way to really get comfortable with your photographer before the big day! Alex and AJ are getting married at Dulnay's Overlook this summer and its very quickly become one of my popular venues to photograph this year. 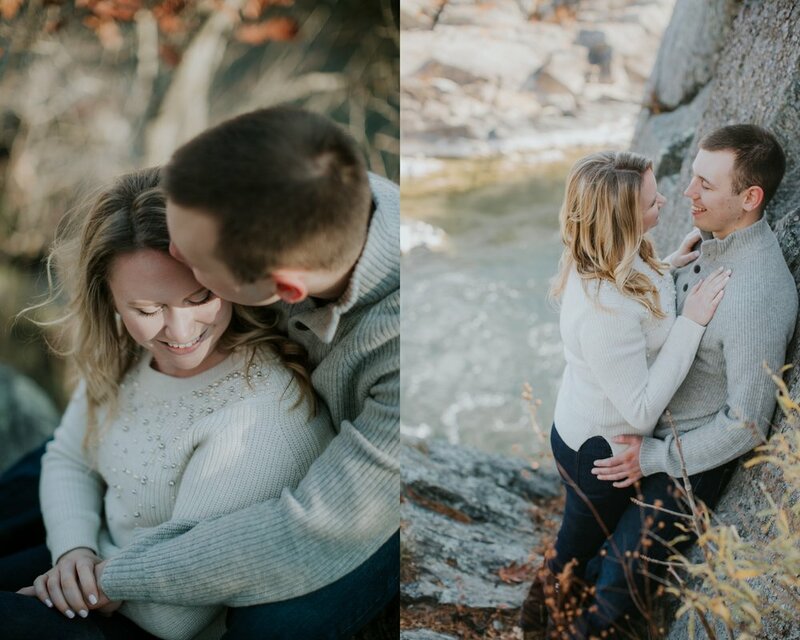 Alex really wanted something outdoors for their engagement photos since they both love to hike and what better place than Great Falls. I had a blast hiking the trails with them we did climb some scary trails lol but we all made it out in one peice. They are so easy going and fun I know their wedding will be amazing can't wait! Here are few from our session!